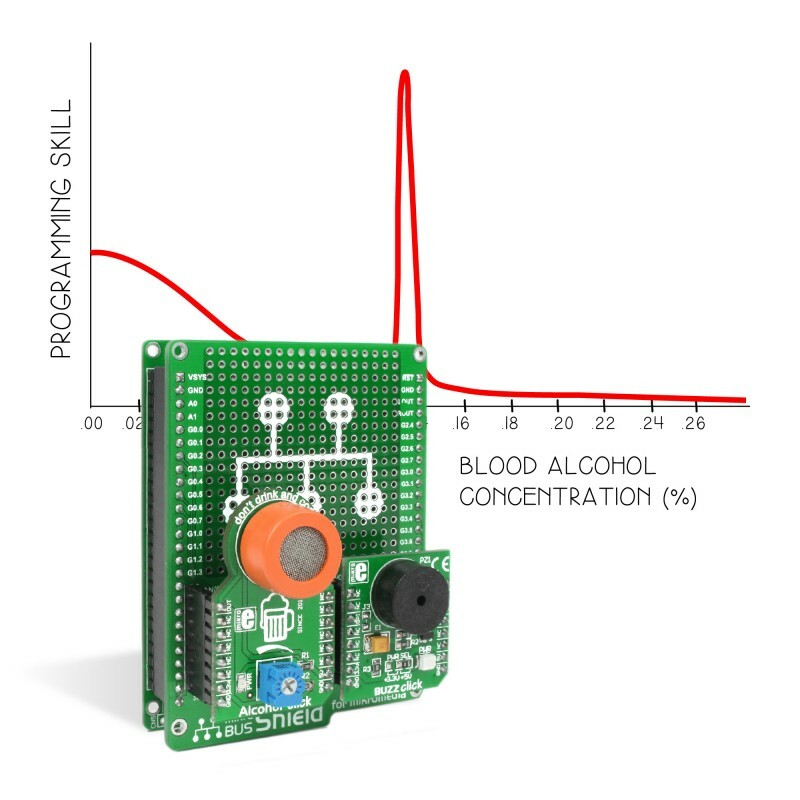 Let's make - Breathalyser - Reach your Ballmer peak! To build a home-made breathalyzer all you need is a mikromedia for PIC32, a mikroBUS™ shield, an Alcohol click, and a Buzz click. And of course, a moderate quantity of alcohol (choose your own form factor). The video explains it all. Is there such a thing as the Ballmer peak? It's the idea that moderate alcohol consumption has a benefitial impact on creativity, and hence, on programming ability. The theory was explained in this issue of the xkcd webcomic. We devised a practical test to examine the validity of the assumption. All you need is a mikromedia for PIC32, a mikroBUS™ shield, an Alcohol click, and a Buzz click. And of course, a moderate quantity of alcohol (choose your own form factor). The video explains it all. You can alter the code and use it as a breathalyser.